TT is in for service and was given a ‘19 A4 loaner. Previous Audi’s include C7 A6 TDI, D4 A8. first time driving the B9, had driven plenty of B8s previously. I am more than impressed at the refinement level of this car, as well as the total lack of road or wind noise at cruising speed. Of course my loaner is the base model, so I’m riding on comfort oriented AS tires, but again; impressive. Hands down this car is quieter than both my A8 and previous A6. also impressed that unlike the previous models, the base level trim doesn’t feel cheapend, whereas in the past Audi would give you the red mono driver display panel as well as the lesser MMI. Loving this car. Thanks for posting your thoughts. The refinement level was one of the first things that impressed me as well when I first drove my car. I even compared it to Bentley in terms of refinement and cabin noise! I have the dual pane front windows in my prestige which reduces the noise levels even more. I do recall reading somewhere in the early reviews that the db rating at 70 mph of this car was within 1 dB of rolls royce phantom. Yup. Though I’ve never been in an RR or Bentley so I don’t know. But my A4 is still (even with mods such as the CAI) quieter than the A7 or SQ5 or even the X3. I love my A4 Allroad and it is very quiet, but comparing the A4 refinement to a Bentley? Are you speaking of fit/finish/quality of the interior? My 2016 Macan S was more refined/higher quality than my Allroad. Yes. I definitely compared it to the Bentley continental GT at the time. I’m talking mostly about the noise level, vibration from road and the engine and of course fit and finish. The solid door thunk, the quality of the buttons and the clicking sound they make. The smoothness of the power delivery when accelerating and decelerating. Bentley has some premium materials for sure like the alacantra headliner or leather dash which gives you a more premium feeling. But it also shares a lot of components with our A4 inside and out. 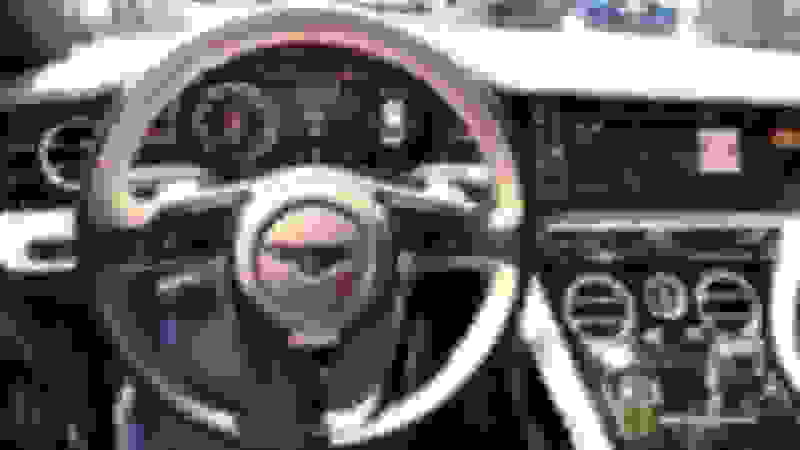 The steering wheel is one example. A4 may not be super premium like the Bentley but the refinement is definitely there. Last edited by marz1; 03-14-2019 at 06:21 PM. That reminded me. I notice that the steering on the new Bentley have similar buttons as our A4. Just that it’s glossy in the Bentley whereas matte in ours. I was wondering if there was a difference in feel when u pressed the buttons on the Bentley wheels compared to in our A4. Like say the buttons felt dampened and refined or was the feel the same. See. Same buttons as the A4 on the Bentley too. After all, they both are VW group companies. Looks they are sharing designs as well as some materials/components. They felt the same except for the diamond knurling volume/menu up and down buttons.